We remember the six million Jewish martyrs, including 1.5 million children, who were exterminated in the Holocaust. We remember not only their tragic deaths but also their vibrant lives—as shopkeepers and craftsmen, scientists and authors, teachers and students, parents and children, husbands and wives. We remember the richly hued and ancient Jewish civilizations that were destroyed—from Salonika, Greece to Vilnius, Lithuania. We remember the slippery slope that began with the rantings of an obscure Austrian-born anti-Semite named Adolf Hitler and led, in the course of less than 15 years, to his absolute control over Germany. We remember the fertile soil of European anti-Semitism—cultivated over centuries by cultural, political, and religious voices—that created an all-too-receptive climate for the Nazi objective of eliminating the Jewish people. We remember the courage of Denmark, as well as Albania, Bulgaria, and Finland, for their extraordinary efforts to protect their own Jewish communities. We remember the courage of thousands of Righteous Persons who risked their own lives that others might live. We remember the millions of non-Jews—Poles and Russians, Roma and the disabled, political opponents and homosexuals—murdered under the relentless Nazi onslaught. We remember the valiant soldiers of the Allied nations who, at such great human cost, vanquished the Third Reich. We remember the survivors of the death camps, who endured such unimaginable suffering and who have inspired us all with their indomitable courage, spirit, and will to live. We remember the absence of an Israel in those war-time years, an Israel which, had it existed, would have provided a haven when so shamefully few countries were willing to accept Jewish refugees. We shall never forget those who perished. We shall never forget those who saved even a single life. We shall never forget the importance of speaking out against intolerance, whenever and wherever it occurs. We shall never forget the inextricable link among democracy, the rule of law, and protection of human rights. We shall never forget the age-old prophetic vision of a world of justice, harmony, and peace. And we shall never forget that each of us, in ways large and small, can help bring us closer to the realization of that prophetic vision. According to this report Hamas and the Muslim Brotherhood have a base in Verviers, through the Al Aqsa charity organization. This organization had been banned in both Germany and the Netherlands on suspicion of supporting Hamas. Michel Privot, a convert to Islam living in Verviers, is named in the report as one of the Muslim Brotherhood heads in Verviers. He denies the accusations and warns of the dangers of such reports. Privot was also mentioned by former American Ambassador to Belgium, Tom C. Korologos, as a participant in the Belgian-US Muslim dialogue, who said the conference will help in countering "extremism fomented by alienation". The Forum of European Muslim Youth and Student Organizations, an organization claimed to be controlled by the Muslim Brotherhood, is one of the sponsors of this initiative. "… we're convinced that the export of anti-Semitic myths and politics to Europe is having an effect on European Muslim communities." Judge for yourself - this is only a minute sample of what is on offer : Radio-Islam, Frustrated Arab’s Diary, Arab-Europeam League, Quibla, Islam-Belgique - the five blog in more than 20 European languages, from Catalan to Croatian and Finnish! "Muslim anti-Semitism is growing in scope and extremism, to the point that it has become a credible strategic threat for Israel, according to a 180-page report produced for Israeli policymakers by the semi-official Intelligence and Terrorism Information Center (ITIC) and obtained exclusively by The Jerusalem Post ahead of its Tuesday release. According to the report, the past decade has seen a veritable explosion of anti-Semitic literature in the Muslim world which intentionally confuses Israel and the Jewish people and is broadcast worldwide through books, radio, television, newspapers, caricatures and Internet forums. This discourse reaches outside Muslim lands to a large Muslim audience in the West. Part of the problem, he said, is that the rest of the world has simply grown used to Muslim anti-Semitism. "We respond to anti-Semitism only where large, vibrant Jewish communities exist. This is a mistake. It is incredibly dangerous that young Muslims are brainwashed with anti-Semitism. It starts with the Jews, but it won't end with the Jews." While the report notes that there are Muslim intellectuals who have rejected the growing anti-Semitism, they are in the extreme minority. 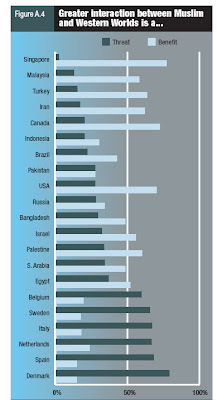 They neither enjoy the support of the regimes nor possess enough influence or numbers to reverse the trend, says Erlich. The report makes clear that the phenomenon of Muslim anti-Semitism is now widespread, popular and expanding. "The anti-Semitism that fed the Holocaust isn't dead," Erlich says. "It is prospering."" Masarat is an art project subsidized by the Walloon government. It brings Palestinian artists to Brussels, some of whom had made controversial hateful statements against Israel and calls for violence. 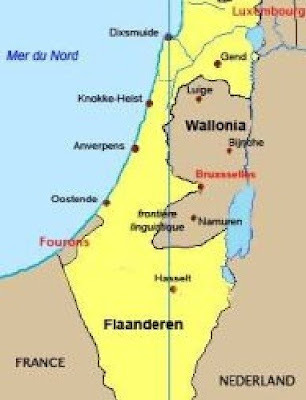 One of their art projects is the following picture, showing Israel as Flanders, the West Bank as Wallonia and the Gaza Strip as the disputed municipality of Voeren. Jerusalem is transformed into Brussels. Huub Broers, mayor of Voeren, was not happy about his municipality being portrayed as the Gaza Strip. He said that the the intention was to portray both Flemish and Israelis as villians who occupy land and oppress others. Broers says that this can lead to new problems in the Belgian "language-battle" and that peace in the Middle East will never come about through taking one-sided points of view. The Flemish minister of the interior, Marino Keulen, said that this picture comes to shock and provoke and not to inform, and that he finds it tasteless. The exhibition had been shown in Paris. The UPFJ (French Jewish Business Union) criticized the Walloon government for subsidizing such a project, and thereby confirming such sick propoganda which is shockingly both anti-Flemish and anti-Israel. Michael Freilich, head editor of Belgian Jewish magazine Joods Actueel, says this picture calls for the destruction of Israel. I don't think it calls for the destruction of Israel more than it calls for the destruction of the Arab Palestine. The French speaking Belgians, rich off their natural resources, have for years oppressed the majority Flemish. The Flemish, being an industrial nation, have prospered in the current economy and are now subsidizing the poorer Walloons. If Flanders would secede from Belgium, would Wallonia be able to survive as an independent state? Palestinians are usually portrayed as the helpless victims against the Israeli superpower, but I'm not sure this art project paints either 'Palestine' or Wallonia in good light. Brussels is a historically Flemish city which through government aided immigration has been transformed into a French-speaking city. The city is now divided among enclaves of Dutch and French speakers. There is certainly a basis to compare it to Jerusalem, a historically Jewish city which has regained its Jewish majority in the mid 1800s, except that nobody expects the 'Brussels-problem' to be solved by the end of the year. This art project super-imposes a European problem on the Middle East, but I think that it just emphasizes the complexity of the European issues. These problems are not less complex than what goes on in the Middle East, but they enjoy much more favorable PR, as well as a wish to solve problems peacefully, without resorting to violence. Brussels: Lebanon war mock tribunal condemns Israel and U.S. The whole thing is alarming, if only because no Belgian French-speaking politician, scholar, columnist, newspaper has voiced a single word of protest, let alone condemnation. Hopefully their silence only betrays ignorance or indifference. Why were these shocking posters displayed in Paris? “Belgian Jewish leader Joël Rubinfeld had a queasy feeling last year when he first heard about a state-sponsored Palestinian cultural festival planned for Belgium. Now, he says, his worst suspicions have been confirmed. A preview of the festival last month in Paris featured posters that called for a boycott of Israel and compared Israeli raids on militants in the Gaza Strip to Hitler's bombing of Guernica, Spain. The posters were displayed at the Paris offices of Belgium's French regional government for one week in late March. With the display slated to move to Belgium in the fall, Rubinfeld, the president of Belgium’s main French-speaking Jewish umbrella group, the Brussels-based Coordinating Committee of Belgian Jewish Organizations, is not pleased. He is pressing the event's sponsor, Belgium's French regional cultural ministry, to spike the posters. Rubinfeld's angst could foreshadow a controversy that may ensue when the festival of visual arts, dance, theater, debates and film makes its rounds in September and October throughout Belgium’s French-speaking region, which is home to some 3.4 million people, including about 17,000 Jews. 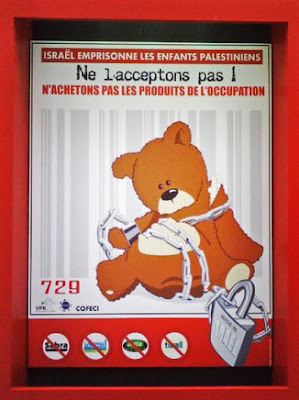 One boycott poster featured in the festival shows a teddy bear in chains and urges viewers not to buy “products of the occupation” because “Israel imprisons Palestinian children”. 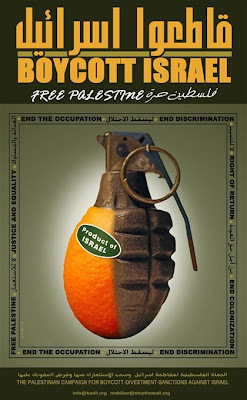 The poster was created by the Ramallah-based Zan Studio, whose founder has said Israel has no right to exist. Another poster shows Hamas and Fatah shaking hands and making the victory sign. “The French community of Belgium is saying it’s supporting art, but they are supporting a political event”, complained Odile Margaux, a Belgian Jew who represents the Israeli Labor Party in Belgium. He said the cultural minister of Belgium's regional French government, Marie-Dominique Simonet, promised him several months ago that she would not allow “hate-mongering” to be part of the festival, which is called Masarat, Arabic for “path”. Masarat is being spearheaded by the Palestinian Authority's mission to the European Union in Brussels. P.A. representatives did not return e-mails or calls from JTA seeking comment on the festival’s content. Simonet’s chief of staff, Alain Demaegd, said the festival gives “Palestinian artists a space for expression, which they have very little of at the moment”. The festival, he added, “is not political”. Demaegd said there are rules governing the tone of the exhibits. “The guidelines are no encouragement of violence, no denying Israel's right to exist, no defense of violent terrorism”, he said. After the festival’s posters went on display last month in Paris, Rubinfeld complained to Demaegd, who said as of now “there is no decision” about whether the posters violate those guidelines. The minister “is not going to judge the artistic merits of the works”, Demaegd said. “They just don’t get it”, Rubinfeld told JTA. “They don’t understand how having such posters can and will hurt Jews within their country, and it is citizens of their country they should be responsible to”. Isaac Franco, a board member of Belgium’s Radio Judaica, said Masarat is about defaming Israel. “The posters shown incite hatred, anti-Semitism and promote terrorism”, he said. “We want the ministry to make sure these posters do not come to the festival”. Rubinfeld says he does not object in principal to his government's funding of the Palestinian festival, but questions why a non-country should receive such support. “It’s not like we have sponsored a Tibetan festival or a Kurdish festival”, he said. “It’s good that people learn about Palestinian culture, but we are afraid of importing the Middle East conflict to Belgium. You promote hostility against Israel, and the next day a rabbi gets beat up”. From: Z word blog: Elif Kayi, Z Word’s European press reviewer, reports on Gregor Gysi’s declaration of solidarity with Israel. There is a common perception that the European left is uniformly hostile to Israel. In that respect, Germany appears to have bucked the trend. Last week, Gregor Gysi, who jointly heads the party Linkspartei with Oskar Lafontaine, delivered a speech about Israel that was, by the prevailing standards of the European left, quite startling. Speaking at a conference organized by the Rosa Luxemburg Foundation, Gysi warmly congratulated Israel on its 60th anniversary and called on his party to “show solidarity” with the Jewish state. Critically, Gysi defined such solidarity as an integral part of Germany’s “raison d’etat.” In so doing, Gysi harshly criticized the historic position of the PDS - the direct descendant of the communist party which ran the totalitarian East German state and now one of the constituent elements of Linkspartei - for its faithful reflection of Moscow’s line of implacable hostility towards Israel. The head of the German Young Socialists (JuSo), Franziska Drohsel, also warned against antisemitism from the left and denounced the identification of some leftist groups with the Islamists: “The goals of the Islamist organizations are not compatible with the leftist concept of emancipation…Antisemitism is evil and has to be fought against, no matter who expresses and defends it”. "Among these were two Dominican friars, who went through the city of Lisbon with crucifixes on their shoulders, inciting the people...they attacked the weak and defenseless group of ill-baptized New Christians with spears and unsheathed swords. They killed four thousand of them, robbed them..they maimed them, dashed children against walls and disembered them, defiled women and girls and then killed them. They threw many pregnant women out of windows onto spearpoints awaiting them below..."
"Historians estimate that between 2,000 and 4,000 "New Christians" - Jews who were forced by the state to convert in 1496 - were thrown into pyres set up across the city centre before authorities regained control of the Portuguese capital. The violence erupted on April 19, 1506 after a man believed to be a "New Christian" suggested that a light emanating from a crucifix at a chapel was likely caused by natural causes instead of divine intervention as thought by many Christians. He was dragged from the church by a group of women who beat him to death, according to several historical accounts. A priest then made a fiery sermon against "New Christians" while two other priests, crucifix in hand, marched through the cobblestoned streets of Lisbon inciting people to kill them. 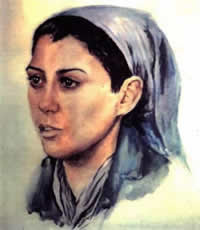 In the ensuing violence even Catholics who were thought to look like "New Chistians" were killed or saw their homes destroyed. 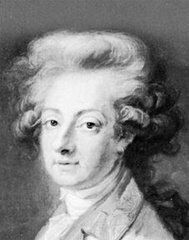 King Manuel, who was outside of the Portuguese capital when the massacre began, ordered the ringleaders rounded up and hung while those convicted of murder or pillage received various corporal punishments. When the king forced the Jews to become Christians, many of them decided to leave the country, including a number of highly educated people, such as the astronomer and mathematician Abraão Zacuto, who went to Turkey, and Baruch Espinosa's (Spinoza) parents, who went to Holland. The massacre highlights the growing unease in Portugal at the time with "New Christians." Spain had launched its Inquisition in 1492 which aimed to expel or forcibly convert to Christianity all Jews and other non-believers, prompting thousands to cross the border into Portugal where they sought shelter. 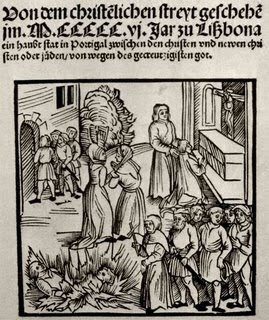 But nearly five decades later Portugal launched its own Inquisition which led hundreds of Jews to be tortured or burned at the stake in the 16th and early 17th century after being accused by church tribunals of being heretics. 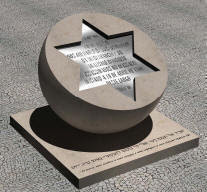 The forced conversion of Jews together with the Inquisition drastically reduced the number of Jews in Portugal, leading the memory of the "Lisbon massacre" as it has come to be known to fade. "Since Jewish culture practically disappeared from the country, there was no one to evoke the memory of the massacre," author Richard Zimmler, who has written novels set against the purge of Jews in Portugal, said in an interview published in daily newspaper Público last Sunday. Some historians estimate that 20 percent of Portugal’s population, or 200,000 people at that time, before the start of the Inquisition were Jewish. Many were successful traders and scientists whose international visibility made the term "Portuguese" be synonymous with "Jew" at the time. Today there are just some 3,000 Jews in Portugal, a nation of just over 10 million people. Most are concentrated in Lisbon and the majority came to the country after Portugal’s Inquisition was officially abolished in 1821." Here is the greeting and message Benedict XVI gave today to the Jewish community. My dear friends, I extend special greetings of peace to the Jewish community in the United States and throughout the world as you prepare to celebrate the annual feast of Pesah. My visit to this country has coincided with this feast, allowing me to meet with you personally and to assure you of my prayers as you recall the signs and wonders God performed in liberating his chosen people. Motivated by our common spiritual heritage, I am pleased to entrust to you this message as a testimony to our hope centered on the Almighty and his mercy. In my heart I repeat with you the psalm of the paschal Hallel (Psalm 118: 1-4), invoking abundant divine blessings upon you: "O give thanks to the Lord, for he is good; his steadfast love endures forever. Let Israel say, 'His steadfast love endures forever.' . . . Let those who fear the Lord say, 'His steadfast love endures forever'." "Mounting fears of Islamic encroachment are restructuring the European Far Right, bringing about the rise of fire-breathing libertarians and pro-Israel populists." In the end, the phenomenon of right-wing populism (or left-wing reaction) is as good a marker as any to insist upon the new ground being broken among these figures and parties of the "Far Right." And it is clear that perceptions of Islam as an intolerant faith are driving the agenda - for Left and for Right, and across the political spectrum. For this reason, one can no longer easily dismiss the hodgepodge of characters, all platforms considered, who "bang on about Islam." And if Britain’s Nick Griffin is correct in his estimation that Islam is soon to dominate political discussion, we can expect to hear noises like his own from the continent’s mainstream political elite. It is unlikely that Old Guard formations like the British National Party will ever enjoy the support of the Swiss and Danish Far Right - both for reasons of their history and the promise of fresh libertarian faces like Wilders'. But in the meantime, Britain’s flagging passion for "diversity" presents sure opportunity for the party - as it does for anyone interested in the popular vote." "European populations surveyed are much more likely to believe that greater interaction between the Muslim and Western worlds is a threat rather than a benefit. This appears to reflect widespread anti-immigration sentiment within the European Union. Labels: Denmark, Europe, Far Right, Netherlands, Populism, U.K.
Portugal: "For 500 years, we were Christians outside the house and Jews inside"
“While the Spanish still do not like to be called Marranos, the Portuguese feel differently. "In Portugal, Marrano means not just a pig's leg but is also an adjective used to describe a determined person who fights for what he believes in and doesn't give up," Prof. Filipe Ferrão, 51, a neurophysiologist from the University of Porto, the second largest city in Portugal, told the Post. "I was raised in Porto with all these customs I didn't understand. For example, we were constantly told not to count stars while pointing to the skies. We were told that if we did so our fingers would be calloused. Years later, I learned that Jews know Shabbat is over only when they count three stars in the skies. 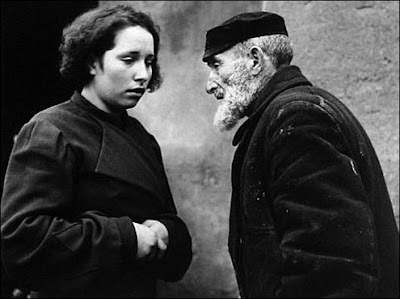 Our parents were afraid that if we did so, we would be suspected as hidden Jews," Ferrão recalled. "Our dining table was rectangle and whenever I placed bread on it horizontally, my mother used to come over and tell me to move it. She never said why, but it became second nature to me. When I grew up, I understood it was in her attempt to prevent me creating a cross." "One needs to live in a Jewish community with an authorized rabbi for a year before starting the legal process with the rabbinate in Jerusalem, and for me it was impossible since there was no rabbi and no solid community in Porto when I started the process," he said. "But now I feel like I paved the way for others. And I've stayed in Porto to help them." Ferrão converted with his wife and their younger child, who is 19. Their older child is 26 and married, and was not interested in going through the process. Participants in the convention [fifth convention for Spanish and Portuguese Marranos of the Shavei Israel organization] described many strange customs that were passed down to them. Several spoke of having a special dining room table with a hidden drawer, in which a bowl with a piece of pork in it was kept in case a neighbor stopped by. Others noted that their ancestors had chosen acceptable Christian names that constituted a secret code to signal insiders they were descendants of Jews "Before the Inquisition, the Jews were 30 percent of the population of Portugal. If you browse a Portuguese phone book today, you'll be amazed how many 'secret' Jewish family names are in it," Ferrão said. To decrease assimilation, many Marranos married within the extended family and into families they knew shared their history. Paulo Vitorino, 40, a father of six and a businessman from Lisbon, insisted to the Post that "I am a Portuguese Jew, not a converted Jew. For 500 years, we were Christians outside the house and Jews inside." He said he had found out about his Judaism at the age of 24, after his mother died. "My father told us we are Jews and that we can choose between the synagogue and the church. I chose the synagogue." But Vitorino protested that in Portugal "we are Jews without the backing of the State of Israel or the local Jewish community. They don't accept us. And this, to me, is the new Inquisition."" "The results of Monday's Italian election - placing media magnate Silvio Berlusconi back in power for a third run as prime minister, this time after two years of Romano Prodi rule - have one unexpected outcome: Jewish journalist, author and global terrorism expert Fiamma Nirenstein will be in the next Parliament. Nirenstein, the long-time Israel correspondent for the liberal daily La Stampa, and more recently for the Berlusconi-owned, right-wing Il Giornale, is famous in Italy for her unapologetic support of Israel and the United States, and for her vocal opposition to Islamic fundamentalism. Indeed, her most recent book, Israele Siamo Noi (Israel Is Us), was a huge best-seller. She also backed the war in Iraq, from where the previous Prodi-led government withdrew Italian troops as soon as it took office. In Israel, Nirenstein is best known for her association with the Jerusalem Center for Public Affairs, where she is a fellow, and for being one of the few European journalists whose reportage on the Middle East portrays Israel and the IDF in a positive light. She has spent nearly two decades dividing her time between Rome and Jerusalem, where she lives with her Israeli husband, news photographer Ofer Eshed. That Nirenstein was asked to join Berlusconi's joint list with Gianfranco Fini, and was placed in the No. 4 slot to guarantee her seat, is a statement on the part of the People of Freedom Party, whose victory indicates a swing back to the pro-Western platform that the previous Berlusconi government espoused, before it was replaced by Prodi." This pro-American, pro-Israel worldview is connected to a strong identification, on the part of at least one major sector of the Italian people, with the same values of freedom and democracy,"
Nirenstein said in a phone interview from her Rome apartment, where she watched the election results on TV with her family. Nirenstein pointed to the massive wave of illegal immigration into Europe as one possible explanation for the public's having reinstated Berlusconi. "It is a desire to restore the sense of identity which Italians feel has been affected by the influx of other cultures, most notably Muslim," said Nirenstein. Nirenstein's celebrity in Italy - both for her writings and for her now-defunct television show on global politics - made her the target, during the period leading up to the election, of a smear campaign from the ranks of the extreme Left. An anti-Semitic cartoon that appeared in the Communist paper Il Manifesto, which depicts "Fiamma Frankenstein" wearing a star of David on one lapel and the symbol of the fascist regime in Italy on the other, was circulated widely on the Internet. After being condemned by the Anti-Defamation League and other groups, the Italian press association suspended the membership of the cartoonist for three months. "It was a frightening example of how anti-Semitism has not only reemerged, but has crept into the mainstream of European discourse," asserted Nirenstein." Thirdly, there is matter of honour. It is plainly not logically impossible that fewer than 8,000 men and boys were murdered by Bosnian Serbs at Srebrenica; but the means by which Herman and his followers advance that conclusion are a violation of the methods of critical inquiry. That's what is wrong with genocide denial - not that it's an offence to our feelings, but that it's an offence against historical truth. Fourthly, while the proponents of genocide denial are on the fringes of Western intellectual life, this is not necessarily true elsewhere. Holocaust denial has gained ground in the Muslim world. In particular, it's espoused by the puppet-president of a state that seeks a nuclear capability and anticipates the extinction of the Jewish state." I have written on this blog about the Palestinian cultural festival Masarat being held this year in Belgium: namely in Brussels, in Wallonia and now in Paris (sensibly, Flanders has not joined in), and which is a Belgian French Community government-funded initiative. It was feared from the outset that the whole event would be highly politicized and used to discredit Israel, this has indeed proved the case. - the timing: 2008, meant to coincide with the 60th anniversary of the State of Israel. The festival has now gone one step further. A map has been posted on the festival's website in which Gaza becomes Fourons, the West Bank is depicted as Wallonia (co-organizers of the festival) and Israel is cast as Flanders. The “artists/mapmakers” supposedly got their inspiration from the fact that Palestinians are called “the Belgians” in neighboring Jordan (an extensive search on the internet has provided no evidence to substantiate this claim). Palestinian and Belgian writers will be exploring "the complexity of Belgian and Palestinian identities" in Paris, in Ramallah and in Belgium (Wallonia and Brussels). Columnist Menahem Macina (UPJF) has written two fascinating pieces about the odd configuration of the map and the underlying message. He believes, among other assumptions, that the organizers were miffed because the Flemish Government did not join in. Who is going to blame them for that? The whole thing is objectionable and insulting in the extreme. To add insult to injury this coarse exercise in political propaganda packaged as "culture" and dialogue with the "Other" is being exported from Brussels and Palestine to a foreign capital, Paris, in an effort to delegitimize Israel. The silly event was totally ignored by the French media and cultural establishment. "What do the 30,000 Italian Jews expect from the early general elections? 48 million Italians will vote next Sunday and Monday to renew the Chamber of Deputies and the Senate after the outgoing Prime Minister Romano Prodi’s centre-left coalition government lost a confidence vote in January. Traditionally anti-Fascist, secular and politically neo-liberal, in the last 30 years Italian Jews have been dealing with the anti-Israeli attitude of the Communist and Catholic left. At the same time, they started appreciating former centre-right Prime Minister Silvio Berlusconi's political revolution. The 71-year-old media tycoon openly embraced Israel's issues, continuously sympathized with Jerusalem and helped turn its ally, the post-Fascist Alleanza Nazionale party of Gianfranco Fini, into a pro-Israeli political organization. This does not mean, however, that most Italian Jews will be voting for Berlusconi's 'People's Freedom Party' (PDL), observers say. When his cabinet lost its majority in the Senate, Romano Prodi, a former president of the European Commission, announced his withdrawal from active politics and Rome's Mayor Walter Veltroni took the centre-left political spectrum. Veltroni made his own political revolution by "sacking" two communist parties and the Greens. At the same time, he "cleaned" his Democratic Party (PD) from the most anti-Israeli fringes, challenging his rival Silvio Berlusconi on the same centrist ground. Although outgoing Foreign Minister Massimo D'Alema, a politician who more than once urged Israel to talk to Hamas and Hezbollah representatives, is still a prominent member of the PD, Veltroni declared earlier this week to Israeli newspaper Maariv that "Israel should not dialogue with those who wish its destruction" and that "the international community underestimated Iran's actual threats to Israel". Berlusconi's sympathy for Israel is probably more deep-rooted." "Maybe, but I'm not used to that. Here in France, I get looks. To the French, I'm not very 'French.' We're living here under a dominant culture. When your name is Francois and you're white with blue eyes, it's one thing. But when your name is Fatima and you've got a little color, the look you get is different. In Israel - because of the variety of people, I didn't feel that. In fact, I met a lot of young people there and it happened more than once that I was talking with a Palestinian and thinking he was an Israeli or vice-versa. Luckily, some of them were wearing a Star of David, otherwise I would have been confused all the time." "Bawer analyzes the anti-American sentiments of the European establishment - the politicians, the media, and academics. I will not bring all his points here, but it does make for quite interesting reading. It also explains some points I've found extremely strange in the past, such as the readiness of top European politicians to voice an opinion on the American elections. Do the Americans really care who the Swedish prime minister wants them to vote for? Would the Swedes react as kindly if the American president would tell the Swedes who *he* wants them to vote for? Bawer goes on further to emphasize how much the Europeans admire the Communist tyranny - seeing Castro as a role model and idolizing Che Guevara, for example. Is it any surprise, then, that young ethnic Europeans seek meaning in their lives by turning to the radical communist ideology of Islam? Europeans until today don't accept the Jews among them as equals [after seven centuries, they don't accept the Roma either], so why do they expect the Muslims to do so? Integration is a two way process, and there are many Muslims who do not want to integrate. What would have been if they had been fully accepted 40 or 20 years ago is by now a question for fiction writers. Bawer suggests that Europeans integrate the Muslims now, but I doubt it's possible, from both sides. A nation state based on the ethnicity of its people cannot simply change overnight, not without losing its basis for being. This point might also explain why Europeans express so many anti-Israel sentiments: They fear they themselves are racist, that they don't have a right to their own nationhood. Is there any easier way of working off that guilt than by blaming others of your own deepest fears?" It is estimated that between 200.000 and 800.000 Roma were killed in Nazi concentration camps. “Skopje, Macedonia: 1942-1944: I experienced the Second World War as a small child and I remember it as if it were yesterday. In 1942, the Bulgarian and German fascists came to out city and began to round up all the Jews and the Roma. Many Germans marched behind a Bulgarian fascist, who was hanging on a drum and shouting that all Jews and all Roma should come out on the street and announce themselves to the German commander. Whoever didn’t come out of their house and have themselves registered would be shot. So all the Jews and Roma came out on the street and were led off to the commander’s office, where they were registered. They all stood in a line and had their names inscribed in a book, and among them were my father and my uncle, the brother of my mother and all the Roma from out street. We children and out mother and grandmother shrieked and cried as they were led away: why were they taking out father away? He had never done anything to anyone. Where did they want to bring him? We tan after the column until we had reached the trucks and then everybody got into the trucks and they drove away. We watched the trucks go and we cried, because we didn’t know whether we would ever see out father and out uncle alive again. 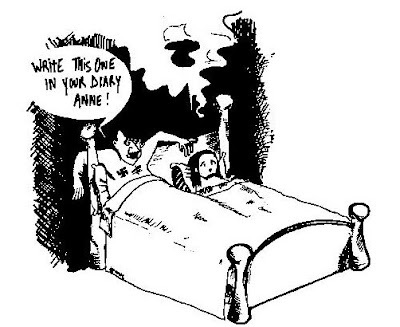 4) Recriminations: Zionists are responsible for astonishing, endless dastardly deeds. And they cover them up with deceptions. These range from the imperialist aggression of 1967 to Ehud Barak’s claim that he offered a compromise to Palestinians back in 2000 to the Jenin “massacre” during the second Intifidah. Too many powerful and highly politicized NGOs have became masters in the art of deception: the notions of transparency and accoutability are just not for them. It is time the EU reform its NGO financing procedures and stop pretending that it either doesn't know or that it is not responsible. The EU knows and its responsibility is fully engaged. Such guidelines will require a coherent policy regarding EU funding for NGOs that pursue political objectives that are inconsistent with their stated goals. [Allocations] ... go to a number of NGOs that promote the "apartheid" campaign of delegitimization. Many participated in the 2001 Durban NGO Forum and are active in implementing the strategy of divestment, boycotts and sanctions against Israel. Clear red lines are needed to prevent NGOs from engaging in such destructive activity. The need for clear guidelines with respect to EU funding is highlighted in the context of the planned Durban review conference scheduled for 2009. Will the EU learn from the experience of 2001, and require NGOs that receive funding under one of the programs discussed in this analysis to forswear any involvement in the demonization of Israel? Other major NGO funders, have adopted such guidelines including the Ford Foundation which requires its recipients to ensure that "your organization will not promote or engage in violence, terrorism, bigotry or the destruction of any state, nor will it make sub-grants to any entity that engages in these activities." Ford also clarified in this memo that "this prohibition applies to all of the organization’s funds, not just those provided through a grant from Ford." The Arab-European League (AEL), whose head is Dyab Abou Jahjah, Belgium's Arab leader), claims that the "Zionists", namely MEMRI, are "secretly" behind Geert Wilders' movie "Fitna". Of course, in the best conspirationist tradition prized by radical Islam, they do not offer the slightest shred of evidence to back up their preposterous claim. AEL's diatribe proves that MEMRI is doing an excellent and indispensable job in exposing anti-Semitism in the Muslim world. "MEMRI-TV aiding Wilders in anti-Qur'an movie. The anounced Dutch anti-Qur'an movie of racist politician Geert Wilders is being created with aid and support of the Middle East Media Reasearch Institute TV Monitor Project, better known by the name of Memri TV. Personnel, equipment and facilities were provided in the biggest secrecy to help Wilders' project. The Dutch politician, who is known to have close ties with the Zionist entity, received the advice to involve Memri in his project. MEMRI TV was launched during the end of the nineties by an ex-intelligence officer of the Israeli army. The institute is known for her translated fragments of debates and news picked out of mostly Arab media. According to current director, Yigal Carmon, he is willing to approach the West to the Arab world by lifting up the language barrier. The institute gained international attention after "9/11" thanks to her devious translations of Arab speakers on Arab media networks. Translations were put of their real context and presented as such to the West as being a general Arab opinion and an absolute truth. Wilders is seen as an ally by many Zionists. His political agenda and his attacks against Islam and muslims cobined with his unconditional support to the Zionist project in occupied Palestine is welcomed and supported by the majority in the Zionist camp. The Arab European League will concentrate on this issue asswell in her already announced counter movie, called Al Mouftinoun. The ties between far right politics and politicians in Europe and the West are not only built on a common ideology but also on a same agenda, being marginalising, exploiting and criminalising muslims always and everywhere." ... then as now, if there's a bundle to be made, Switzerland will without compunction trade with pathological Jew-haters - who inter alia also pose imminent danger to the entire free world. It betrayed helpless asylum-seekers and buttressed Hitler's economy despite his blaring threats to annihilate all Jews. Likewise, it helps fortify Ahmadinejad's economy despite his blaring threats to annihilate the Jewish state. By Calmy-Rey's reckoning, her personal stamp of approval alone suffices to justify and elevate any caprice to the moral high ground. She is the ultimate arbitrator of righteousness. In the name of superior Swiss rectitude, the hyperactive socialist pushed for "alternative negotiations" with Iran, promoted (and financed) the Meretz-brand Geneva Initiative and advocated that the Red Cross replace the verboten Star of David with a meaningless red "crystal." Her combination of guile and smile has made her one of her country's more popular politicos, to the extent that she was elected Swiss federal president for 2007. In that capacity she responded to Ahmadinejad's Holocaust-denial conference by proposing in the tactless spirit of her "active neutrality" that Switzerland host no less than an international symposium on "the varying perspectives of the Holocaust." Ahmadinejad was to be invited to voice his version, while Calmy-Rey was, presumably, to hold court as the upright impartial moderator. But no such unease limits lucrative commercial ties with the Middle East's Hitler wannabe. These remain as compelling as were the ultra-rewarding transactions with the original WWII-model Fuehrer."